If you need the non-structural elements of your building removed, as part of refurbishment or for recycling prior to full demolition and clearance, Hastings Demolition will do your job systematically, with precision and care. We specialise in internal “soft strip” activities, including the removal of dangerous substances eg. asbestos. We strip floor coverings, remove temporary floors and ceilings, non-load bearing partitions and mechanical and electrical systems, including lighting, air-conditioning and all cabling. We can also disconnect and remove utilities (water, gas, electricity and telecommunications). We go that extra mile to ensure the building is prepared for the next stage: the renovators or re-fitters will come to a clean space. Our trained operatives use soft-strip techniques to remove and save materials for recycling. Fireplaces, windows, furniture, staircases, timber all can be carefully removed for reuse. We have a sound recycling ethos at Hastings Demolition, which means we do focus on the treatment of waste removal and we aim to recycle as much material as possible to go back into new building projects. Material the owners don’t keep is recycled through our salvage yard, and native timber, bricks, doors and windows can be restored to grace future buildings. Those parts of a building that owners do want to keep are sympathetically extracted and prepared for shipping from site. We are aware that the noise and dust which inadvertently accompanies a demolition job can be stressful to neighbouring properties and we keep this is the front of our minds, working out of hours when appropriate and taking all care to minimise disruption and to keep the environment protected. We are fully compliant with all waste handling regulations and ensure that the inconveniences of destruction are minimal. 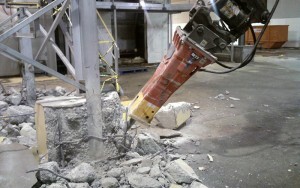 In the demolition industry, each project is different. However, the underlying processes for each unique challenge are essentially the same. At Hastings Demolition we bring our wide range of experience to form specific plans for each job to ensure the best results with the least disruption on projects of varying scale and complexity, for full or partial demolition. We offer a highly trained workforce, modern equipment, sound judgment and an excellent track record of demolition projects all over the Hawkes Bay. Hastings Demolition works closely with building owners to ensure we salvage items of value, recycle timbers, brick and metal, minimise dumping and deal with hazardous materials in strict compliance with regulations. We have the equipment to deal with the largest jobs: excavator mounted hydraulic concrete breakers, concrete cutters, excavators, fork lifts and heavy machinery, trucks and trailers including transporters and a bulk tipper. See our full list of equipment here. After demolition, we leave your site in a safe and sound condition, ready for redevelopment. A fire in your home or business is traumatic and disruptive. A burnt building is a harrowing site. 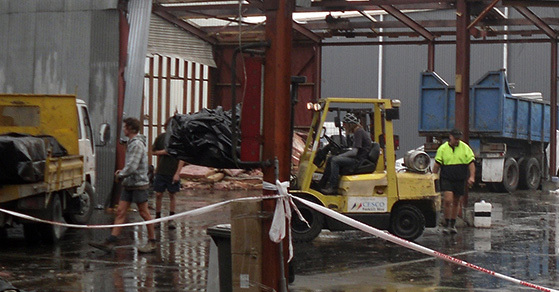 At Hastings Demolition, we specialise in fire clean ups and for decades have been helping Hawkes Bay families and business get back on their feet as quickly and painlessly as possible in the aftermath of a fire, with the least disruption to the surrounding community. We understand the issues involved, and the need for fast, professional action. You can trust us to be clear and honest in our site appraisal. Hastings Demolition will be quick and precise, we will analyse the best way to deal with your site, potentially recover assets and remove the damage to leave a safe site for repair or rebuild. Fire damaged contents and structures need to be assessed and checked for hazardous substances, then the damaged debris needs demolition, removal and clearance. Often it is the secondary smoke damage that compounds the devastation and this needs experienced smoke damage analysis. 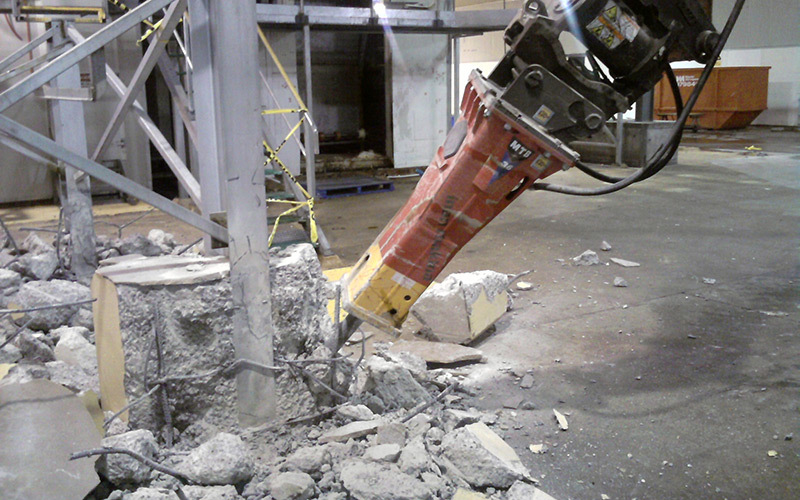 Hastings Demolition has the experience to work through the site in order of urgency. First we check for safety and potential further damage and secure the site. The next steps are : ventilation, soot removal and smoke contamination assessment, content removal or disposal, and odour elimination. The final step is site clearance for restoration or rebuild. Professional, fast service is our promise. Hastings Demolition offers a convenient service, full compliant with all regulations, for site or factory clearances, providing all labour, machinery, skips, containers and transport. We can clear and decommission your site with items recycled wherever possible. We are based in Hastings and cover the whole of the Hawkes Bay region. 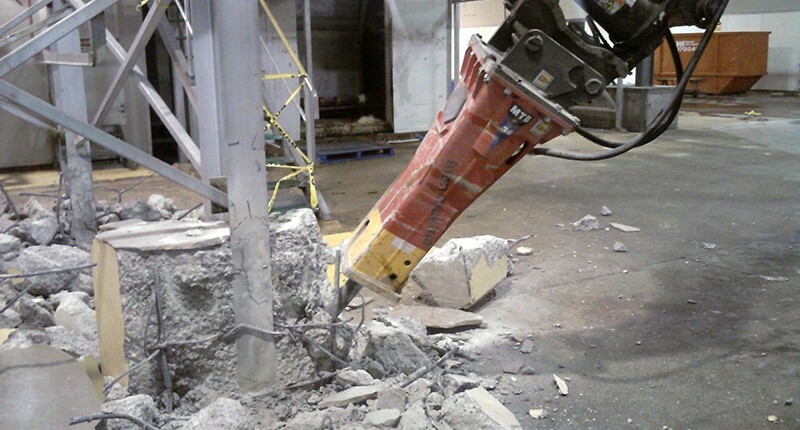 We have years of experience in Hawkes Bay concrete cutting and drilling contract work. We offer a variety of concrete cutting methods depending on the nature of the structure, talk to us about what is right for your project.